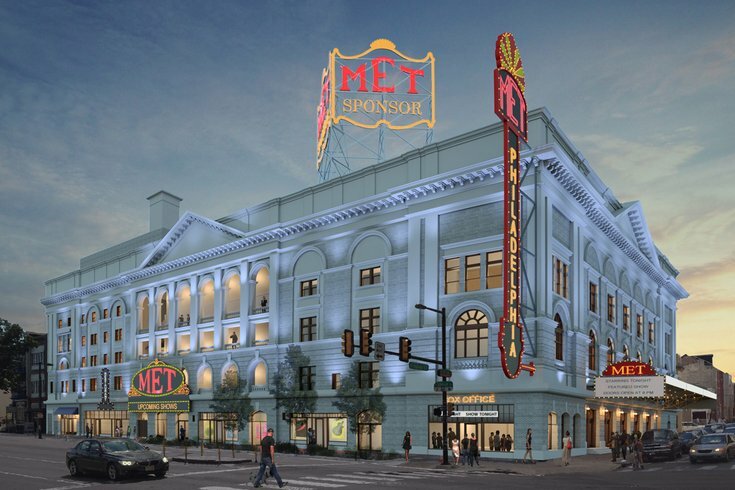 A rendering of the renovated Philadelphia Metropolitan Opera House. After selling out two shows at the soon-to-open Met Philadelphia venue, comedian and HBO host John Oliver has added a third show in Philadelphia this December. In addition to his scheduled performances at the Met Philadelphia on Sunday, Dec. 30 and Monday, Dec. 31, an additional show has been scheduled for Dec. 30, this one at 10 p.m. to accommodate fans who didn't score tickets the first time around. Tickets for the new show are already on sale at Ticketmaster and start at $69.50. The first performance of the new venue will come from Bob Dylan, who is slated to take the stage Monday, Dec. 3. Check out the rest of the early Met lineup, which includes Weezer, Jim Gaffigan, and Philly native Kurt Vile, here.